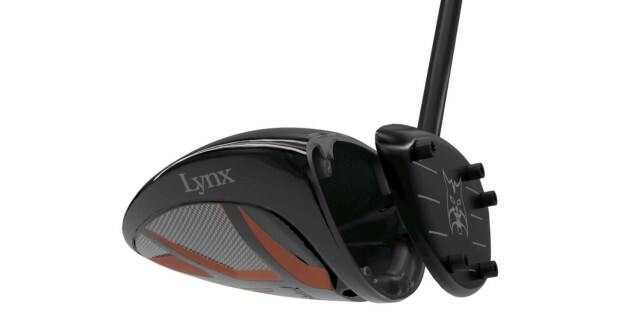 Lynx Golf has unveiled its Prowler VT Driver, significant for the introduction of Switch-Face Technology, an innovation that has produced a removable-face design for major adjustment possibilities to golfers. Switch-Face Technology (SFT) is a development in driver adjustability, as the entire hitting face of the driver is completely removable. The ‘First Look’ launch of this revolutionary product comes with an array of detachable faces with different lofts available to choose from, the golfer can simply remove one face and replace it with another of a different loft. Loft and face angles are among the most significant contributors to ball launch angles and spin rates and Lynx’s SFT means the golfer is always playing with true loft. The loft angle stated on each entirely separate striking face is the loft angle that is always presented at address, critically while keeping the clubhead square to the ball. Driver face plates with 1-2 degree open and closed settings are also available for those golfers preferring a draw or fade bias in conjunction with a true loft setting where only the angle of the face plate is altered. At address, the clubhead itself remains square to the ball. Unveiling the Lynx® Prowler® VT Driver featuring Switch-Face Technology, Lynx® CEO and co-owner Steve Elford said: “We are extremely proud to be breaking new ground in driver adjustability and this club is a complete game-changer - Lynx’s SFT offers golfers true loft change options for the very first time in a driver. 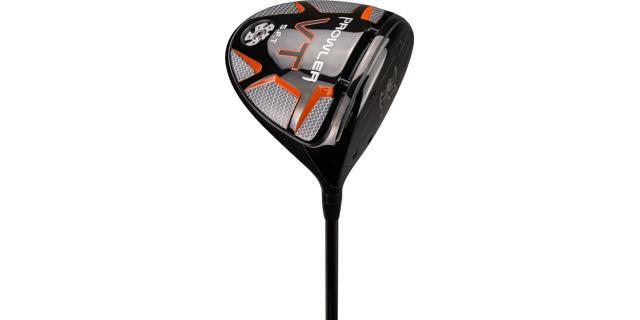 “With adjustable hosel drivers, while golfers believe they can change the loft they are also altering lie angle and face angle and this either toes the driver head in (closes it) or opens it out to varying degrees. “So, while adjustable hosel drivers, including other models in the Lynx® range, do give golfers multiple options to configure their clubheads, finding, setting and maintaining the perfect true loft and face angle combination is almost impossible. Each individual driver face comes with its own attachment screws which are manufactured to remain embedded in the face plate when the face is removed and can’t fall out. Following the initial first look at the PGA Merchandise Show, there will be at least 25 different true loft and face angle options available, meaning custom-fitters and golfers will be able to experiment with and assess precise, accurate combinations from 8 degrees loft and 2 degrees closed, to 12 degrees loft and 2 degrees open, and an array of combinations in between. Face angle changes are achieved in manufacturing, where the thickness of each removable face is carefully calibrated and shaped so it sits open or closed once it is attached to the clubhead, which always stays square to the ball. Added Lynx CFO and co-owner, Stephanie Zinser: “As well as always playing with true loft, there are tremendous additional benefits for the golfer from Lynx® Switch-Face Technology. “The design moves weight out of the hosel and with the use of the fixing screws, weight is then re-located where it should be – in the driver head itself, around the perimeter of the club. This leads to increased MOI. In testing, the Lynx® Prowler® VT with Switch-Face Technology saw three-time European Tour winner and Walker Cup winner, Nick Dougherty, a Lynx® ambassador and Sky Sports presenter, increase his average ball speed by 10mph and achieve a 354-yard drive (329-yard carry). A family-owned business based in the UK, Lynx® golf equipment is available in over 21 countries globally, including the USA. Lynx® Golf concentrates on developing high quality, technologically-advanced but affordable golf clubs, backed up by great customer service. It has gained a strong foothold in ‘green grass’ golf accounts – retail operations typically run at golf courses by PGA Professionals. Lynx® Prowler® VT Driver with Switch-Face Technology: will be sold initially with a FREE face from the range (subject to availability). Lofts: Standard 8 degree – 12 degree, with 1-2 degree open/closed face angle options. 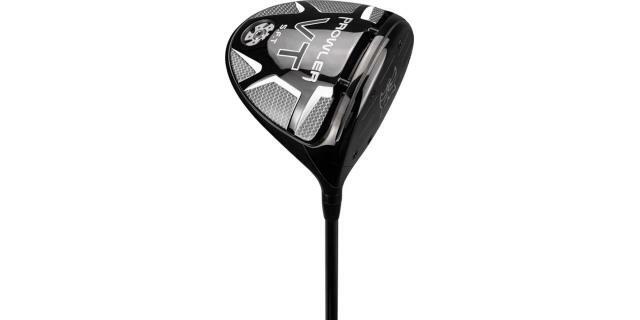 Shaft: Stock UST® Mamiya Recoil, custom fitting available. Grip: Golf Pride MCC Plus4.